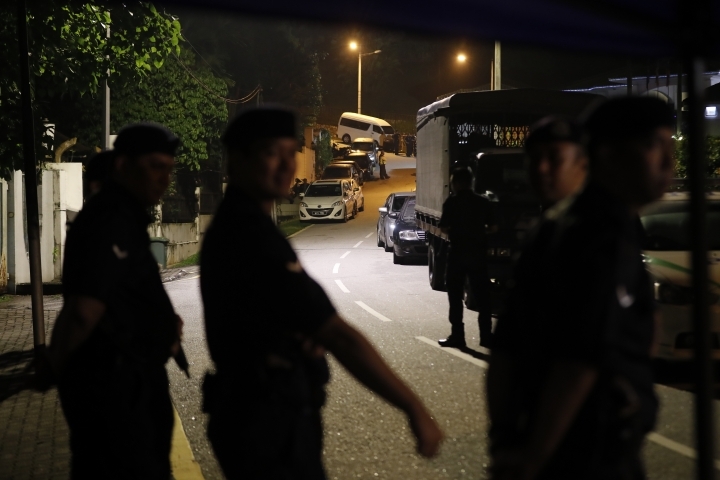 KUALA LUMPUR, Malaysia — Malaysian police spent hours early Thursday searching former Prime Minister Najib Razak's house, reportedly part of a money-laundering investigation linked to a state investment fund that is being investigated abroad. 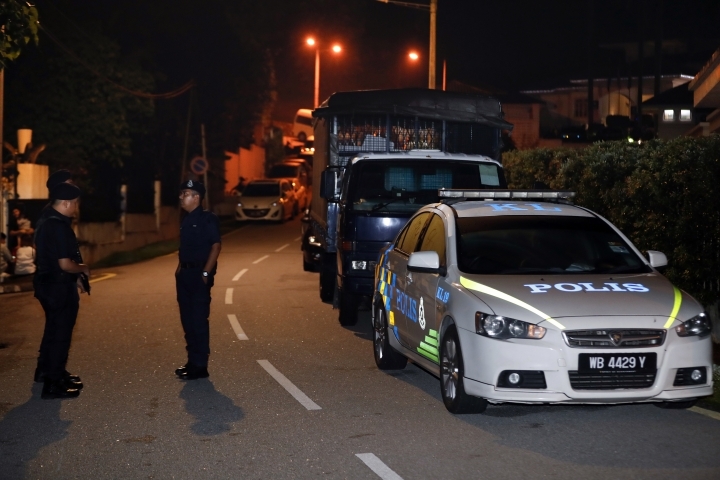 More than a dozen police vehicles arrived at Najib's house late Wednesday shortly after he returned home from prayers at a nearby mosque, fueling speculation that he may be arrested after new Prime Minister Mahathir Mohamad warned that he could be charged soon over the 1MDB fund fiasco. Commercial crime director Amar Singh Ishar Singh told media that police were searching for evidence in an ongoing probe and that it was being carried out at five locations. He declined to give details. Police officials couldn't be immediately reached for comment. 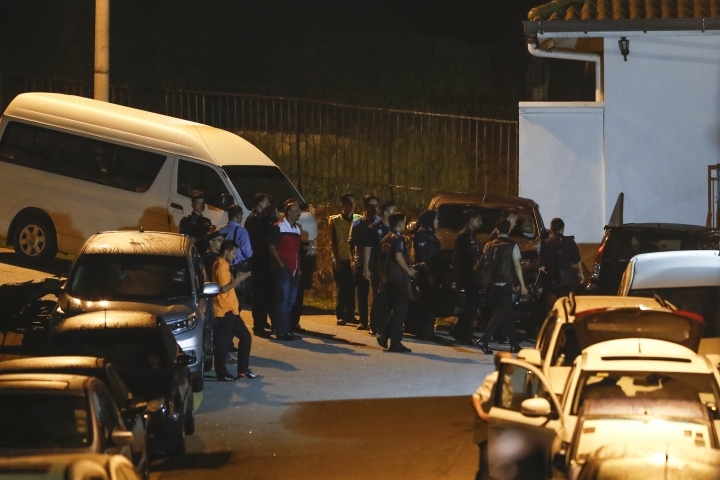 National Bernama news agency cited sources as saying police were searching for documents related to 1MDB and that raids occurred simultaneously at the prime minister's office, the official residence and an upscale condominium in the city. Mahathir has not yet moved into the prime minister's office or residence. He reopened a probe into the 1MDB scandal after his alliance won a stunning election victory last week, ousting Najib and ending the National Front's 60-year grip on power. Najib started the fund in 2009 and U.S. investigators say at least $4.5 billion was stolen and laundered by Najib's associates, some of which landed in his bank account. Najib's lawyer Harpal Singh Grewal told reporters outside the house early Thursday that police didn't seize any incriminating documents, just several boxes of personal possessions including handbags and clothing. He said that Najib and his family cooperated with police during the search, which was believed to have been done under the anti-money laundering law. He said Najib hasn't been called in for questioning. It's unclear if the search had ended. On Wednesday, Mahathir said the government will make arrests as soon as there is clear evidence and reiterated that there will be "no deal" for Najib in the scandal. Mahathir, 92, said an initial investigation showed the scale of wrongdoing by Najib's administration was more serious than expected. "The focus on corruption is important because we need to get back money which is still in Switzerland, the U.S., Singapore and maybe Luxembourg. For this, we will contact the governments of the countries to recover the money there," Mahathir said. "The money belongs to Malaysia and it came from 1MDB. We will appeal for the money to be returned to Malaysia." Najib and his wife have been barred from leaving Malaysia. The government has also told the current attorney general, who cleared Najib of wrongdoing in 2016, to go on leave, and has relieved the country's treasury chief, who is also the 1MDB chairman.